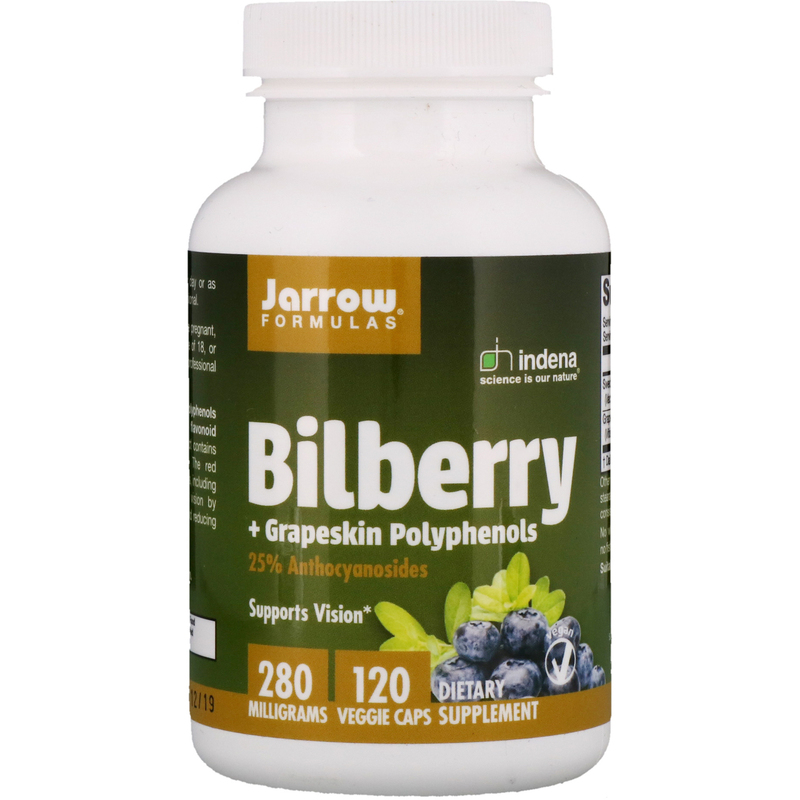 Bilberry + Grapeskin Polyphenols is a synergistic blend of standardized flavonoid antioxidants. 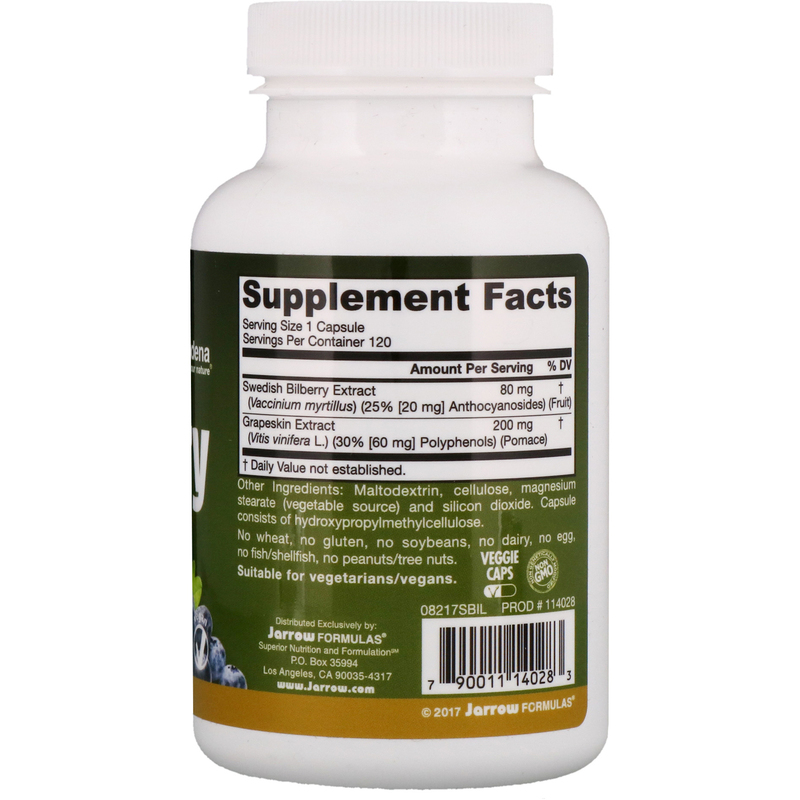 The Swedish bilberry extract contains 25% polyphenols as anthocyanosides. The red grapeskin extract contains 30% polyphenols, including antocyanins. These flavonoids support vision by enhancing antioxidant status in the eye and reducing capillary permeability and fragility.